Documents accessed by Business Standard show that some of Hong Kong based entities to whom more than $45 million was paid in a span of less than a week in February on the behest of Nirav Modi with the connivance of rogue Punjab National Bank officials have owners spread across the globe from Surat in India to Taipei in Taiwan to Dubai in the United Arab Emirates (UAE) and to Hong Kong. While much has been said about Nirav Modi and his business associate Mehul Choksi in the multi-billion dollar Punjab National Bank (PNB) fraud case, there is little clarity on some of the entities to which these huge sums were paid by Hong Kong based Indian banks. Business Standard is publishing details of the Hong Kong based entities which are under the scanner of the Enforcement Directorate and the Central Bureau of Investigation as they launch a global hunt to put together pieces of what is turning out to be the biggest financial scam in India’s corporate history. A facsimile was sent to the offices of the company secretaries of these entities but no response was received till the time of publication. The responses of the individuals and entities will be published once received. One of the companies is Aura Gems from whom Modi’s companies allegedly imported diamonds worth several million dollars. Aura Gems, though based in Hong Kong, is owned by an Indian national named Shailesh Sonu Mehta. Documents show that Mehta, despite holding an Indian passport, operates the company from Dubai. Mehta is based at Al Jaffah building in Dubai – a stone’s throw away from the Al Raffah police station. His apartment is in a well-known residential area on the western side of the Dubai creek in what is popularly known as Bur Dubai. While Mehta is the sole shareholder in Aura Gems owning over 8.5 million shares, another man named Nareshkumar Divyeshkumar Gandhi is a director in the company. Gandhi is a Hong Kong national currently staying in an apartment at Luna Towers in the Hong Kong’s Kowloon district. Aura Gems meanwhile is located on the ninth floor of a building called Peninsula square - a 10 minute drive from Gandhi’s residence. Aura Gems allegedly received millions of dollars from the Hong Kong branches of Allahabad Bank and Axis Bank upon receiving dubious Letter of Undertaking (LoU) from an Indian branch of Punjab National Bank. 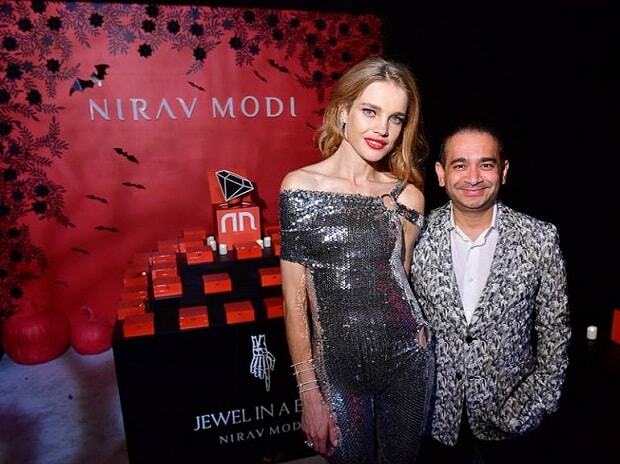 According to the Central Bureau of Investigation’s First Information Report (FIR), along with other Dubai based companies, Aura Gems received close to $32 million as payments for exporting ‘diamonds’ to Modi’s companies that included Solar Exports and Diamonds 4 US. The second Hong Kong based company in question that received money for exporting ‘diamonds’ to Modi’s India based companies was Sino Traders. Documents show that a Taiwanese national named Min Tung Li was the owner of Sino Trader. Li, who was based in Taipei held 8 million shares in Sino Traders. Sino Traders was operating out of a building in Central Hong Kong and its office was barely a kilometre from the branches of Axis Bank and Allahabad Bank. The LoUs on the basis of which over $28 million was paid to Sino Traders along with other Dubai based companies were also issued by Punjab National Bank in February. On February 9, an LoU of almost $4.5 million was issued to Allahabad Bank’s Hong Kong branch to be paid to Sino Traders listed as one of the “overseas exporter.” On February 12 two LoUs of more than $12 million were received by Allahabad Bank’s Hong Kong branch for payments to Sino Traders among others. On February 14, two LoUs of almost $12 million were received by Axis Bank’s Hong Kong branch. In some of these transactions both Aura Gems and Sino Traders were to receive the money for ‘exporting diamonds’ to Modi’s companies in India. Documents also show that a Hong Kong based entity named Sunshine Gems listed as one of the diamond exporters to Modi’s companies can be traced back to the diamond hub of Surat in India. Although the company operates out of the seventh floor of a trade tower in Hong Kong’s commercial Kowloon district, its owner is a Gujarati man named Mohandas Ashishkumar Lad residing in the Keshav Nagar locality of Surat. Mohanbhai Lad is the sole owner of Sunshine Gems with a holding of 8 million shares. Sunshine Gems is one of the youngest companies named in the complaint filed with the Central Bureau of Investigation. Records show that it was incorporated in 2013 in Hong Kong. Sunshine Gems along with other companies were made payments to the tune of over $28 million by the Hong Branches of Allahabad Bank and Axis bank after receiving LoUs from the Indian branch of Punjab National Branch. Reports suggest that the Enforcement Directorate and Income Tax department suspect over 200 shell companies across the world to have been used for siphoning off bank money in the alleged scam.